Spring is approaching and do we have some looks for you! 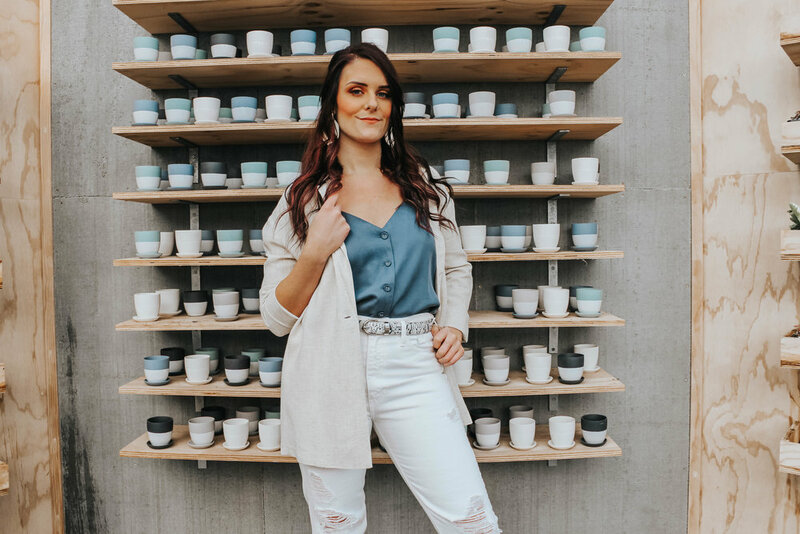 We teamed up with Amber from Creative Hair and Design to put together a Spring Lookbook to give you be babes some outfit, hair, and makeup inspiration! Amber kept it very laid back for the hair with loose curls and a half up twist. This style will be perfect for any occasion! For makeup, she wanted to do something very light and playful for the springtime with pinky tones and iridescent reflection! 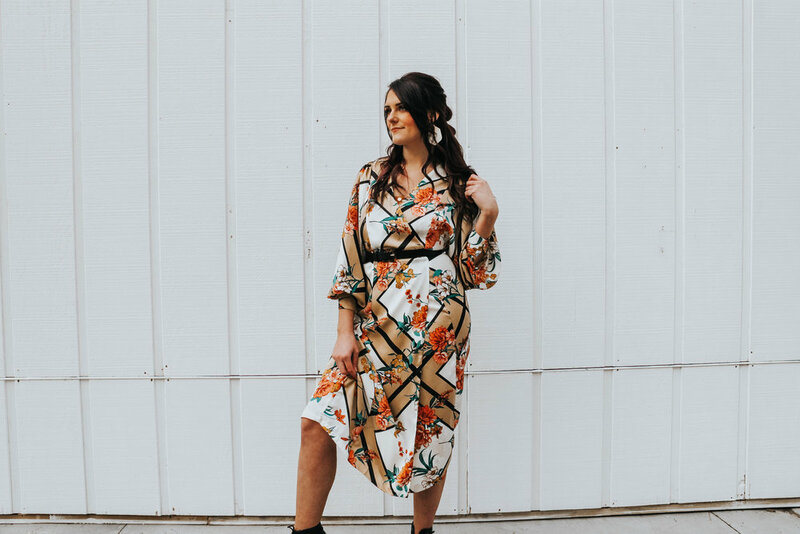 There is nothing better than having a piece that you can wear time and time again, BUT in different ways like our Georgia Floral Wrap Dress ($68.00). Need a statement piece to jazz up any outfit? 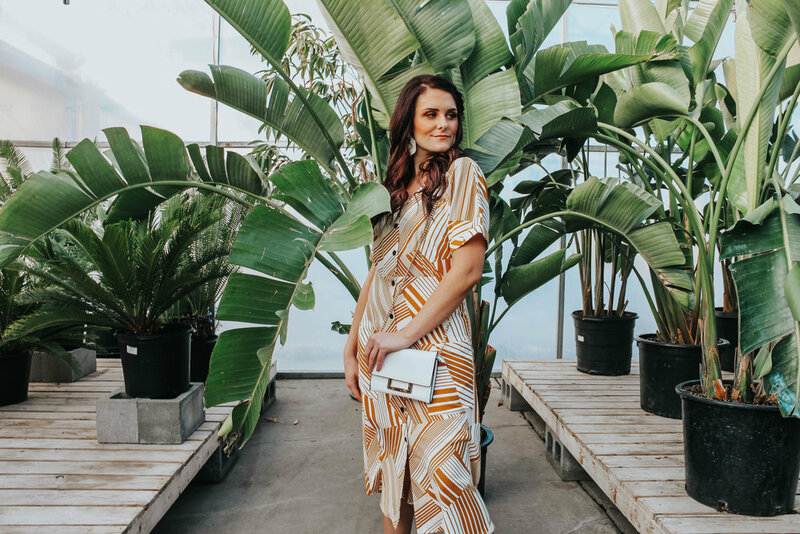 Wear the wrap dress as a kimono and you’ve got the perfect outfit for a casual date night, lunch or brunch with friends, or a fun night out! 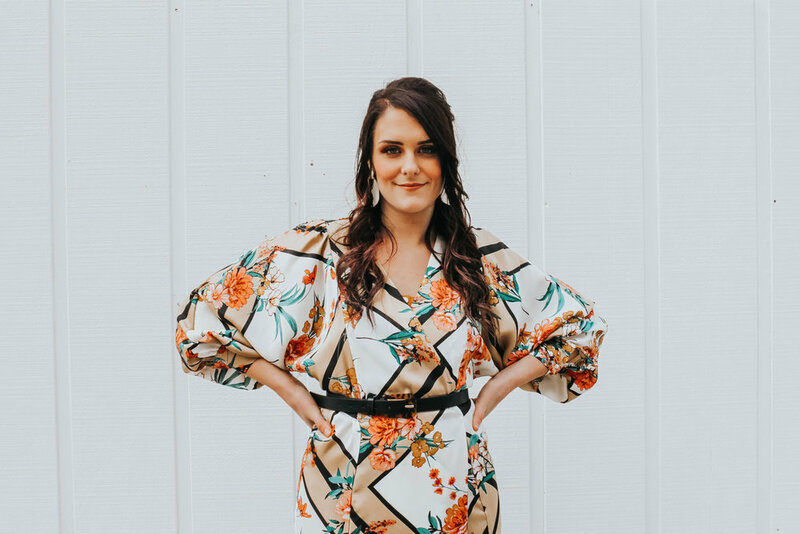 Or you can wear our Georgia Floral Wrap Dress the traditional way, which is perfect for a Spring wedding or dinner out with a special someone! We spiced up the dress with our Zane Black Strappy Bootie ($44.50), but feel free to wear this dress with your favorite pair of strappy sandals or heels! This outfit just screams Spring Time! 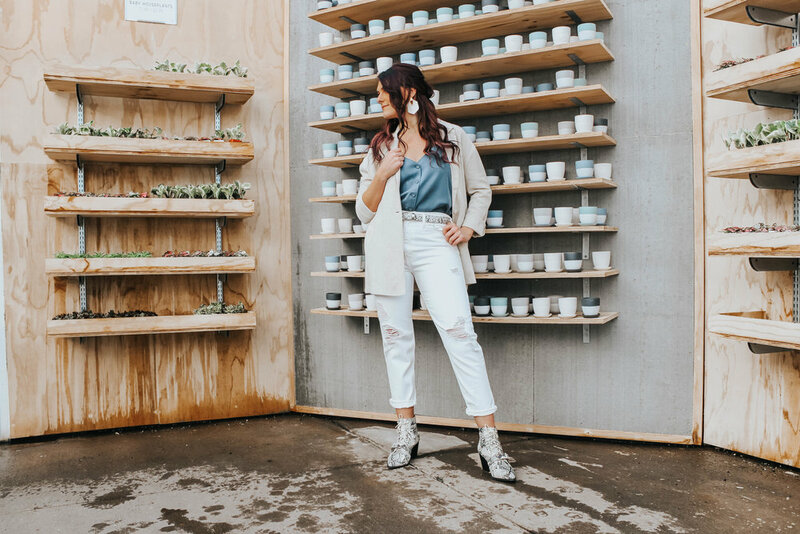 Everything from our Jones Linen Blazer ($54.50), to our Sienna Distressed Jean ($72.00). You will definitely be ready for the nice weather in these classic pieces! We LOVE accessorizing! So pair these timeless pieces with some statement earrings, a snakeskin belt, and our Zane Snakeskin Strappy Boot ($44.50). One word...JUMPSUITS! If there is one piece of clothing you should get for the springtime it is a jumpsuit, like our Carried Away Striped Jumpsuit ($49.50). 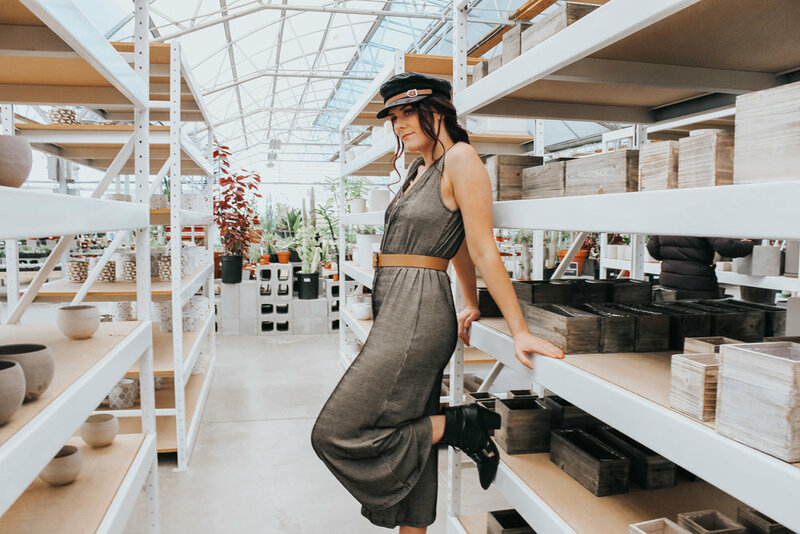 You can dress it up, like we did with a fun belt, cabby hat, and our Zane Black Strappy Bootie ($44.50), or dress it down with a pair of sandals! You cannot go wrong with a piece like this! Have fun with your outfit by mixing patterns with color! 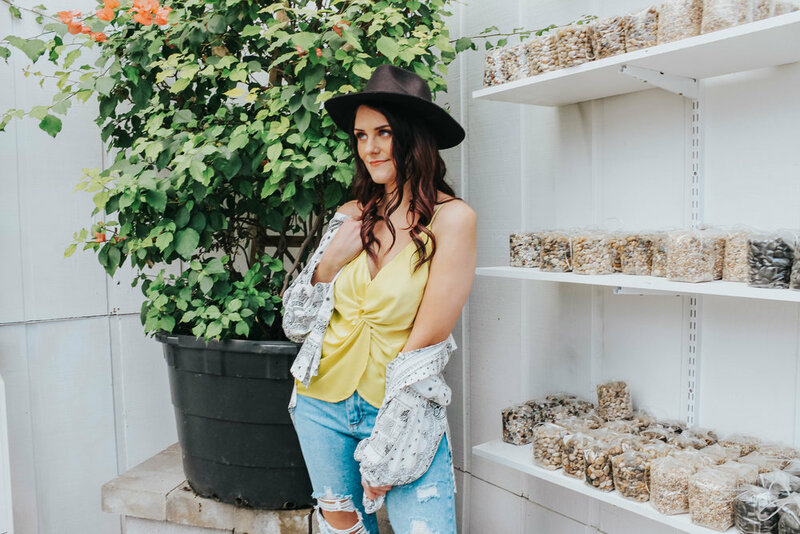 Our Paris Satin Tank (in Bright Yellow, $38.50) will brighten up any outfit, especially paired with Cyrus Bandana Top ($46.50). 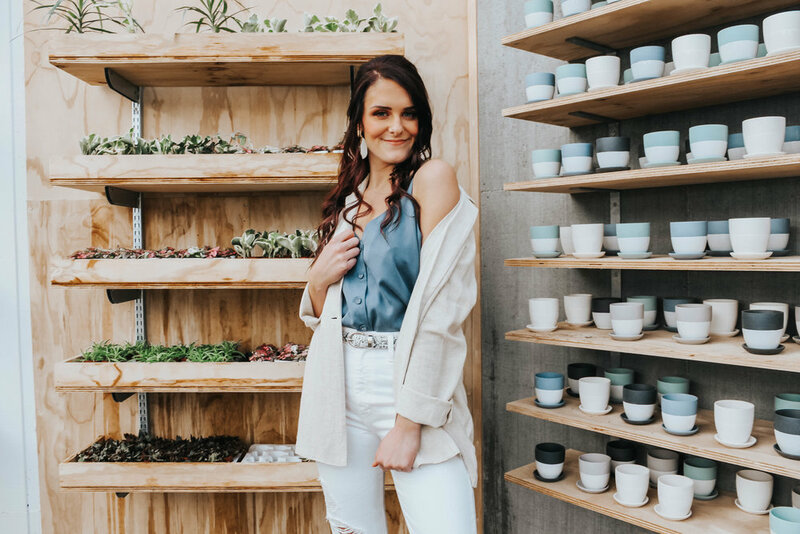 To finish off the outfit you can never go wrong with a pair of girlfriend jeans like our Coastal Destroyed Jean ($68.50). And finally, the PERFECT Spring dress is here for you! Our Santa Barbara Midi Dress ($54.50) will be your new go to dress. The geometrical white and mustard print is epic, the midi length is perfect for any occasion, and the button down detail in the front makes the dress a perfect cover up when going to the pool! I hope you all enjoyed these looks! Come shop all of these pieces and more in store or online! And make sure to book an appointment for a new Spring look with Amber at Creative Hair and Design and follow her on Instagram at @amberwavesofhair.